Excellent lesson. most other interval lessons have you link interval sounds to common melodies, but don't show how to play on the fret board. 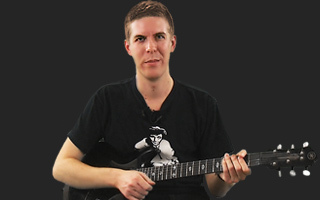 this lesson actually shows you where the intervals are on the fret board. for Root, third, fifth, flat 7, it's best remembered by the Beatles gradually piping in at one point in the song "Twist and Shout", just before they say "well shake it up baby now".